The DCE 2178LRE is a Long Reach Ethernet Network Extender (LRE) designed to provide bonded, high-speed services over SHDSL on existing copper infrastructure using standards based on EFM (Ethernet in the First Mile) technology (2Base-TL). 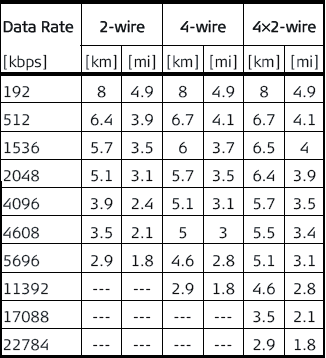 EFM, also known 802.3ah, is a collection of protocol specified in IEEE 802.3 defining Ethernet access network, I.E. first or last mile. With Wide, Metro and Local Area Networks already standardized, EFM allows a continuous Ethernet network across the globe, eliminating non-native transports such as Ethernet over ATM from access networks. EFM also addresses other issues, required for mass deployment of Ethernet services, such as operations, administrations & management (OAM) and spectral compatibility with existing technologies such as voice, ADSL, VDSL and SHDSL. The DCE/2178LRE is a bridge mode modem that delivers Ethernet services with symmetrical bandwidth at rates up to 22.8Mbps with four bonded copper pairs. This “Pure Ethernet” solution provides a seamless integration into today and tomorrow’s networks. The modem operates in point-to-point connections between remote office and enterprise headquarters, providing business-class Ethernet service at symmetrical high–speed connectivity that is ideal for small-to-medium enterprises.